DVD Drive for Nintendo Wii Console If you are having any of the following issues with Nintendo Wii, when you playing your favorite game. fully tested, easy to install, only 2 wires to connect. 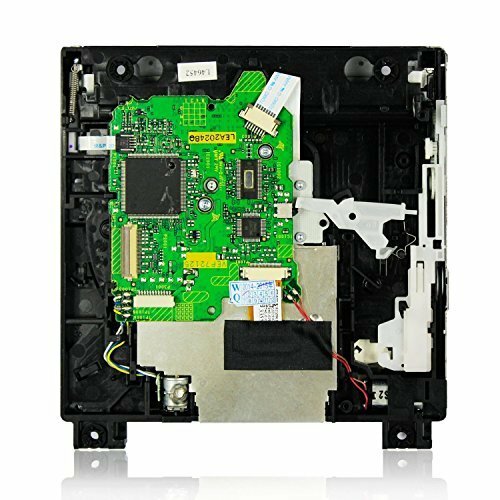 * Best replacement DVD drive repair parts for Nintendo Wii. * 100% in good condition, fully tested before shipment. * Offers easy solution to fix the logic board, or laser lens malfunction. * Easy to install, only 2 wires to connect. COMPLETE UNLOCKED D2A D2B D2C D2E DVD DRIVE FOR ORIGINAL NINTENDO WII WITH PCB BOARD ALREADY INSTALLED! EASY TO INSTALL, IN MOST CASES SIMPLE DIRECT SWAP!